A lifesaving app won the top plum at the Smart 13th SWEEP Awards. Developed by a team from the University of San Jose-Recoletos, the BloodSeeker is a mobile and webb app that helps in finding blood donors and match them with those who need blood transfusion. This app searches for matching blood types within a one kilometer radius. Standard questions for blood donors include queries about their health, drug use, sexual habits and travel history as pre-requisites for donation acceptance. The Smart SWEEP Awards was founded in 2003. 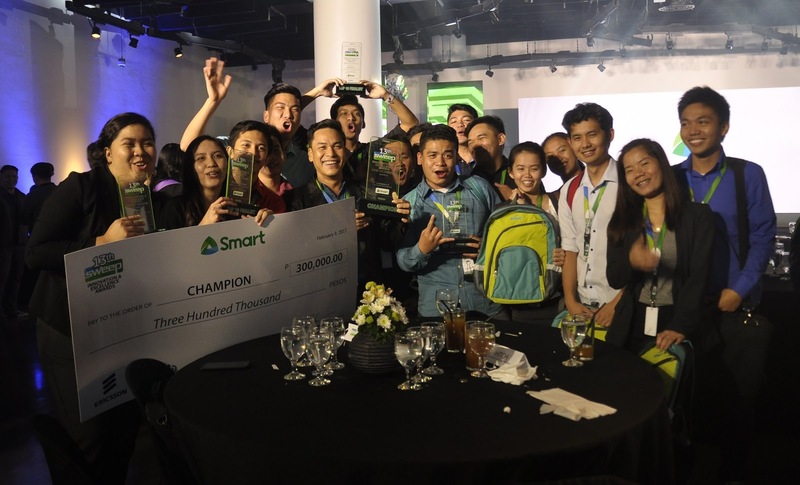 SWEEP means Smart Wireless Engineering Education Program aims to enhance the quality of engineering and Information Technology education in the Philippines. The Program is a cooperation between the academe and the private sector wherein trainings and lectures are provided with the latest in wireless technology. The runner up is BuyONG or Buy Online-N’Go. Users will use the app for groceries from home. It was developed by the team from Batangas State University. The online shoppers can then pic it up via a drive thru system. The team from the Ateneo de Manila University came up with an app that allows drivers to have an optimal route for them when having multiple destinations. Using heuristic algorithms, this is useful for delivery services since destinations within a day can be inputted and the app plans the trips and routes and these even comes with an estimated time of arrival per destination. The app is called TRAFFIX. Then AgriLife from the Wesleyan University-Philippines team is for the use of farmers. This app can connect them to potential investors and registered cooperatives. This is a solution for financing that is needed by farmers for their pre-harvest requirements. Investments via the app can be as low as Php100. In turn, the investors will then be able to re-invest, withdraw their money and even buy the crops harvested using Smart Money or PayMaya accounts. The BloodSeeker team won Php300,000 while the BuyONG Team was awarded Php200,000 and the TRAFFIX Team won Php150,000.